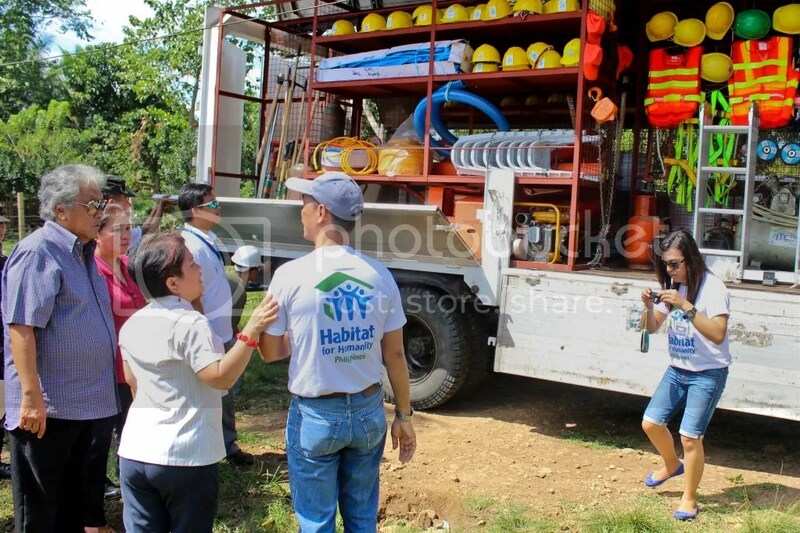 City Mayor Vicente “Dongkoy” Y. Emano, together with Mr. Jun Santos of the Habitat for Humanity (2nd from left), Mr. Tootsie Besinga of the Gawad Kalinga (3rd from right), Ms. Daisy Ramos of the DSWD(2nd from right), and Eng’r Jose Gatus of the Oro Habitat for Humanity (right), awarded houses and lots jointly built by Gawad Kalinga, with funders SM and BDO to 200 families from the sharers & renters. The awarded houses were built on the City Government-owned land in Calaanan. 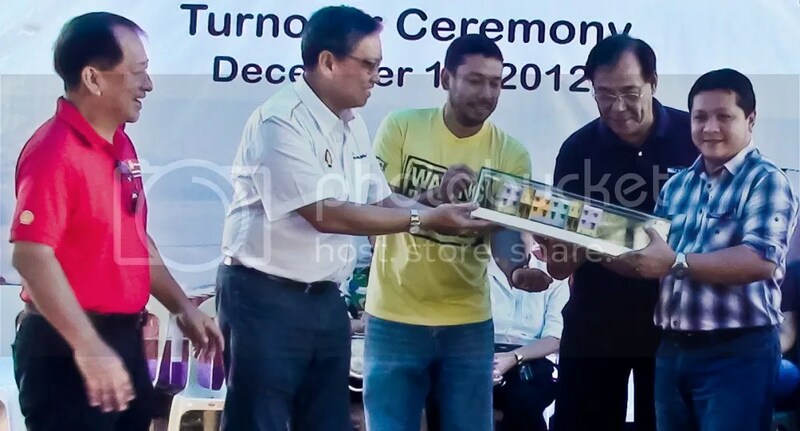 Vice Mayor Caesar Ian E. Acenas receives from top officials of Gawad Kalinga & Pilipinas Shell a miniature of the GK-Shell houses built in Calaanan during the ceremonial turn over of the houses to the City Government, December 19, 2012. In photo are, from left to right, Mr. Bobby Kanapi (VP for Communications of Pilipinas Shell), Mr. Edgar Chua (Chairman & President of Pilipinas Shell), Mr. Jose Luis Oquiñena (GK Exec. Director), Dr. Alfonso del Fierro (GK Provincial Head- Mis. Or.). Thereafter, the City Government also turned over the houses to Sendong survivor residents. 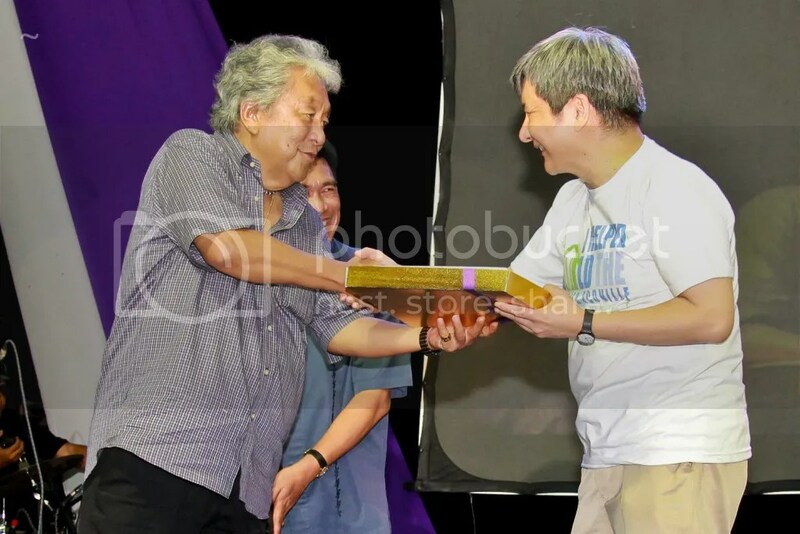 Vice Mayor Caesar Ian E. Acenas hands to Pilipinas Shell Petroleum Corp. President Mr. Edgar Chua a ‘Distinguished Plaque of Commendation’ for their ‘invaluable contribution to the recovery and rehabilitation of Cagayan de Oro City from the devastation of Typhoon Sendong by providing funds for the construction of permanent houses for the displaced calamity victim. GK-Shell and the City Government also conducted a turn over ceremony, December 19, 2012 in Calaanan, of the houses to the Sendong survivors. 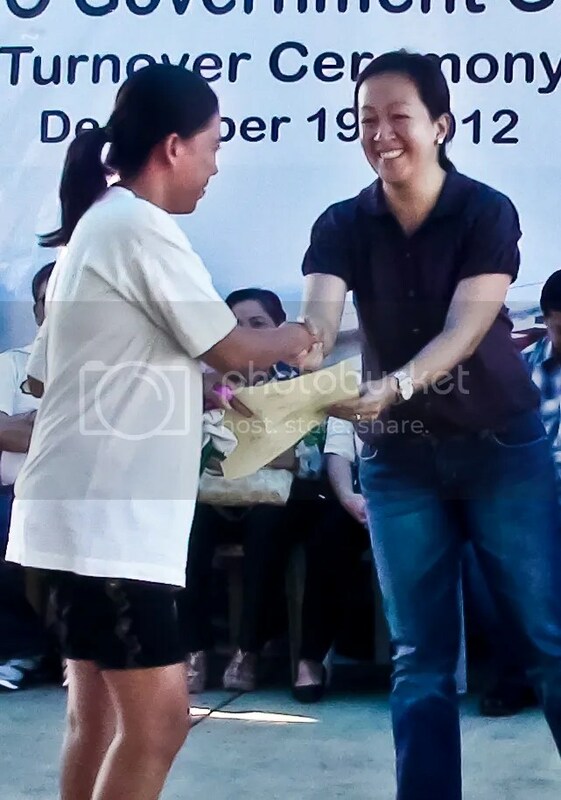 City Councilor Nadya Emano-Elipe hands a certificate of award to a resident of a GK-Shell house during a Turnover Ceremony held in Calaanan, December 19, 2012. Top officials of Gawad Kalinga and the Pilipinas Shell Petroleum Corp. were present during the ceremony. 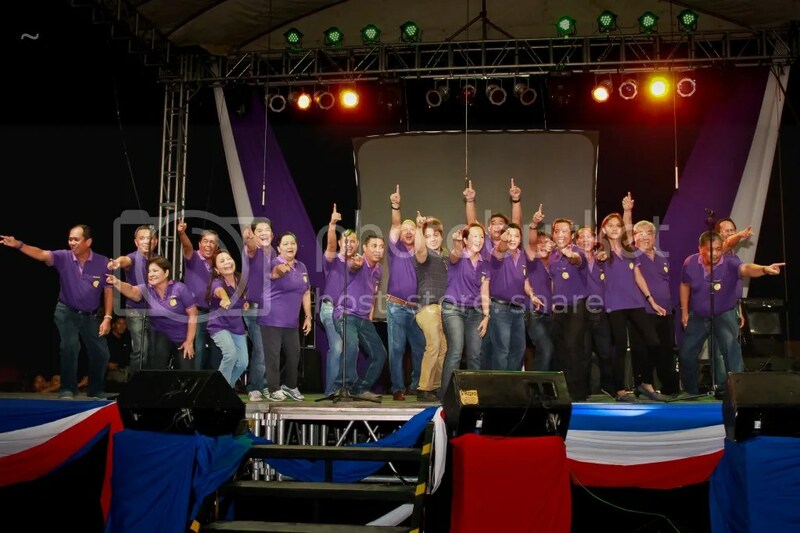 Cagayan de Oro’s City Councilors and Congressman Benjo Benaldo (center), delivered their version of the ‘Sulong Cagayan’ song complete with well-choreographed dance and spirited moves before an audience of Cagayanons and guests at the Rodelsa Circle. City Mayor Vicente “Dongkoy” Y. Emano acknowledged that he was touched by the performance and considered it the highlight of the night. 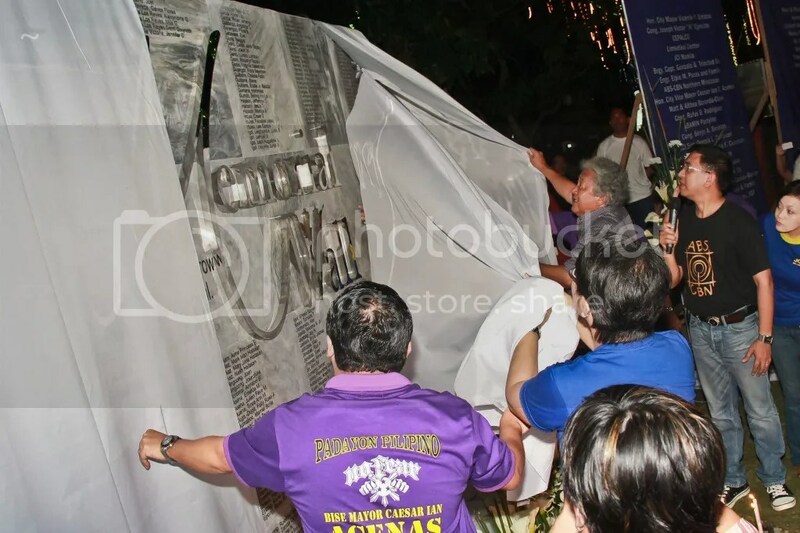 City Mayor Vicente “Donkoy” Y. Emano, assisted by Vice Mayor Caesar Ian E. Acenas (left) unveils the Sendong Memorial Wall, built by the JCI Bai Lawanen and partners at the Gaston Park, on which the names of those who perished during the Sendong ordeal are inscribed. 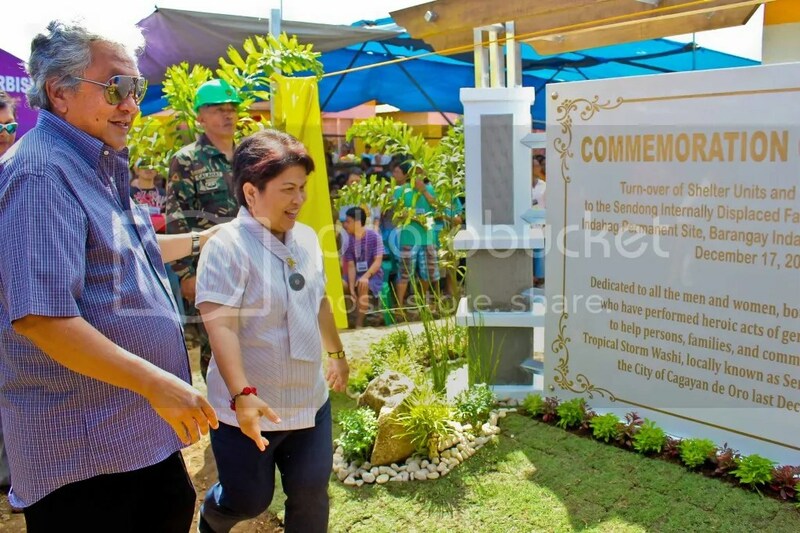 The unveiling was one of several activities conducted during the 1st Commemmoration of TS Sendong, December 17,2012. 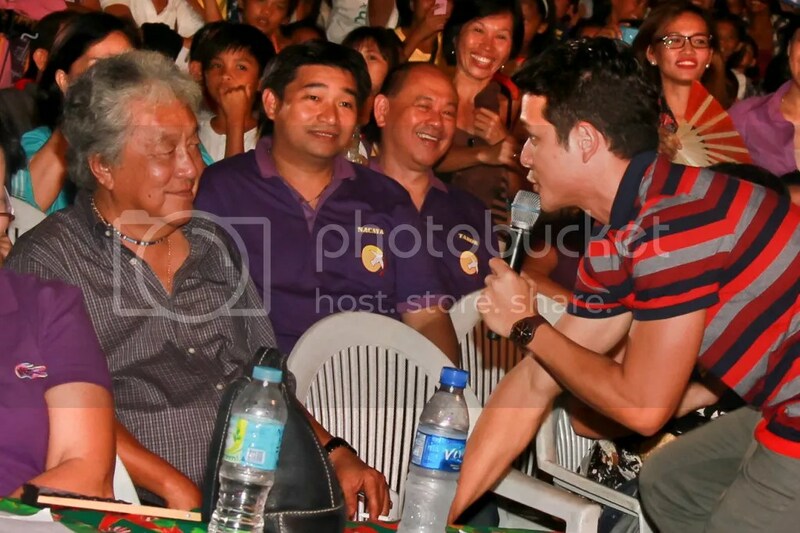 Invited entertainer Jericho Rosales came down the stage and greeted City Mayor Vicente “Dongkoy” Y. Emano during the 1st Sendong Commemmoration night held at the Rodelsa Circle where the actor entertained thousands of Cagayanons and guests with his songs and amusing antics, leaving the ladies (and some guys) screaming in awe throughout his concert performance. 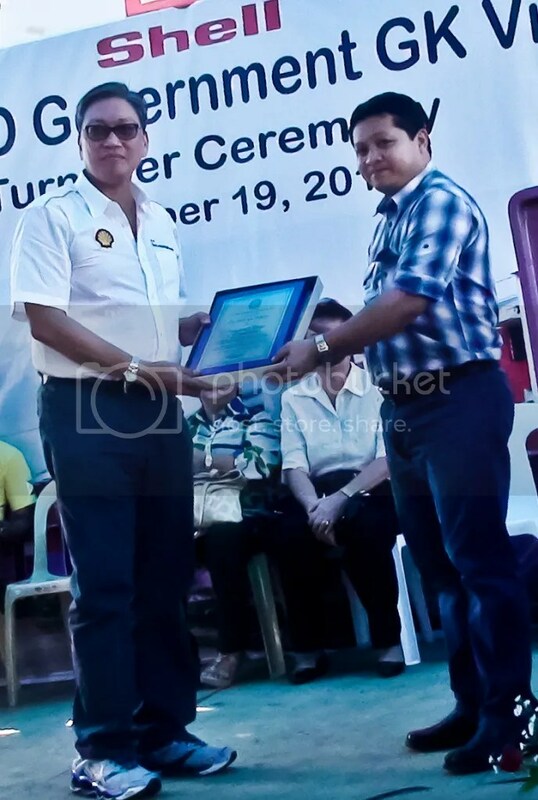 City Mayor Vicente “Dongkoy” Y. Emano presented several Plaques of Commendation, during the 1st Sendong Commemoration held at the Rodelsa Circle, to those who helped Cagayan de Oro when it needed help the most, one of which was given to Xavier University President Fr. Roberto C. Yap who the mayor acknowledged to be one of the very first who delivered assistance to the people during the city’s hour of need. 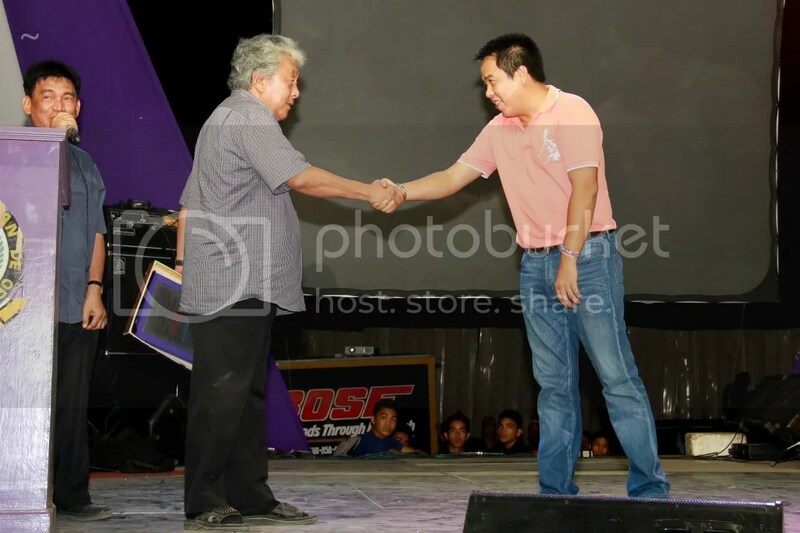 Father and Son clasped hands during the 1st Sendong Commemmoration event held at the Rodelsa Circle when City Mayor Vicente “Dongkoy” Y. Emano called Congressman Bambi Emano to receive a Plaque of Commendation for his role in helping the people of Cagayan de Oro City during its difficult period, particularly for his initiative to gather the officials and volunteers from the whole province of Misamis Oriental to help clean up several affected parts of the city wrecked by the typhoon Sendong. 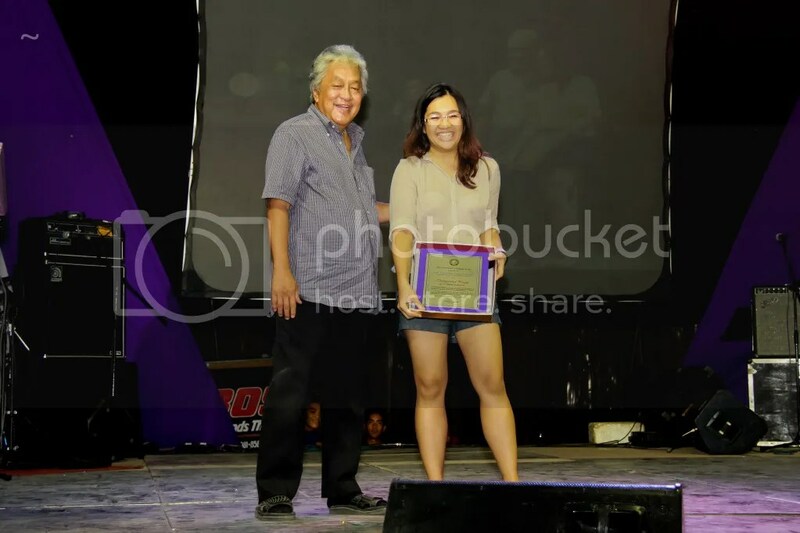 Proud grandfather City Mayor Vicente “Dongkoy” Y. Emano beams as he posed with Yvy Emano who stood in for Hon. Paulino “Oloy” Emano, encumbent Municipal Mayor of Tagoloan who also deserved the Plaque of Commendation he got for his invaluable assistance to the people of Cagayan de Oro during the city’s Sendong ordeal. Several other entities received Plaques of Commendation, some of whom were not able to come that night. 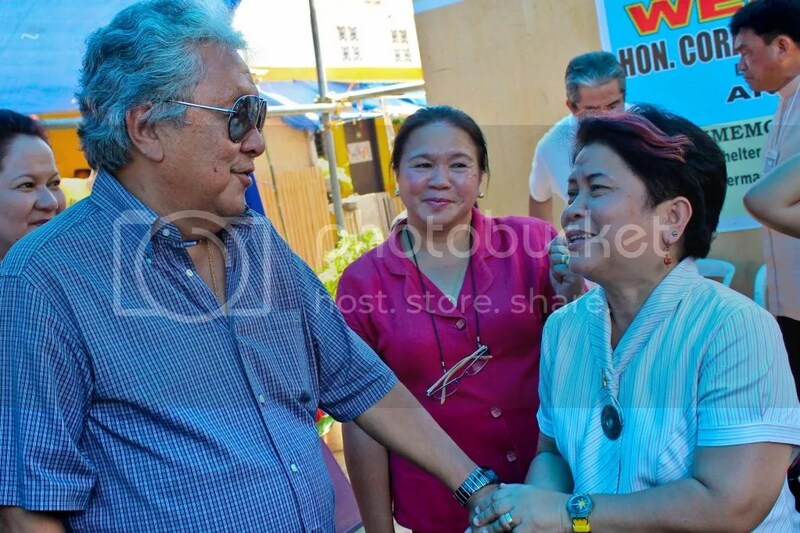 DSWD Chief Dinky Soliman who visited Cagayan de Oro during the 1st year anniversary of the city’s Sendong ordeal clasped the hand of City Mayor Vicente “Dongkoy” Y. Emano, touched by the Mayor’s declaration of her as Cagayan de Oro’s Adopted Daughter which the mayor proclaimed during the unveiling of the partnership wall at the Indahag Relocation Site, December 17, 2012. Soliman had been actively involved in bringing much needed assistance to the city especially where the welfare of the displaced people of the city are concerned. 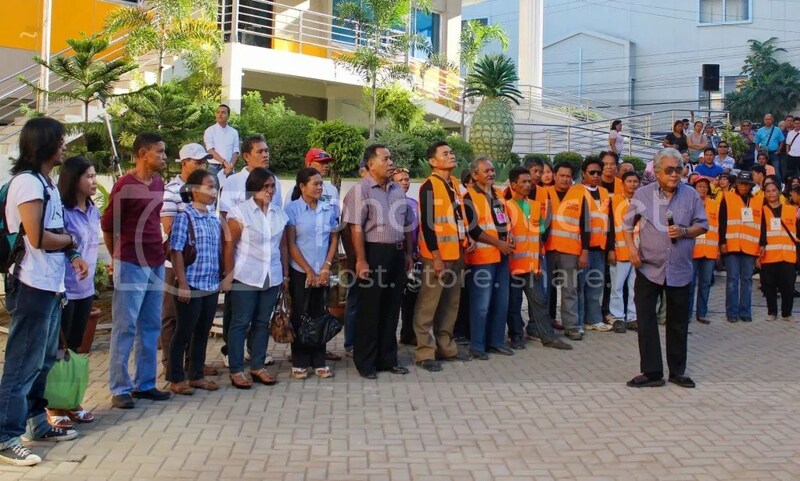 She, in fact, brought with her in this visit an additional assistance of P105M for this purpose. With her in this photo is her local counterpart DSWD Regional Director Atty. Araceli S. Solamillo. (center). 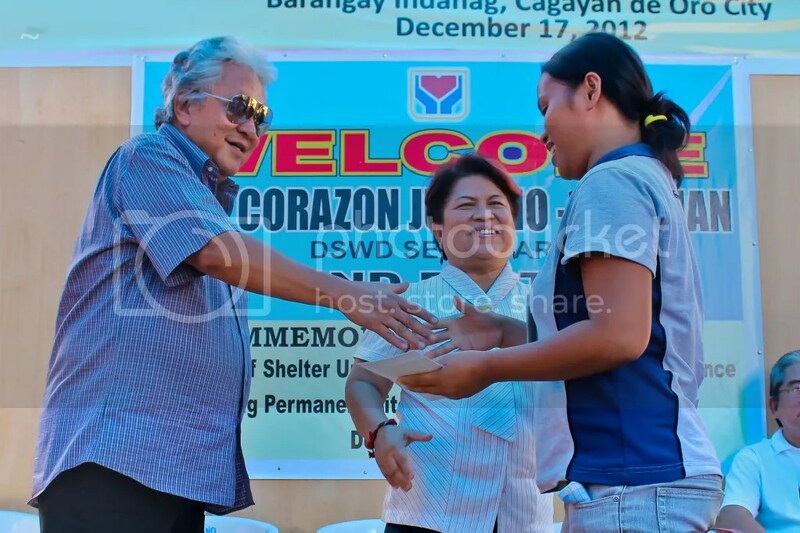 Dinky Soliman and Mayor Emano distributes certificates of award and aid in Indahag, December 17, 2012. 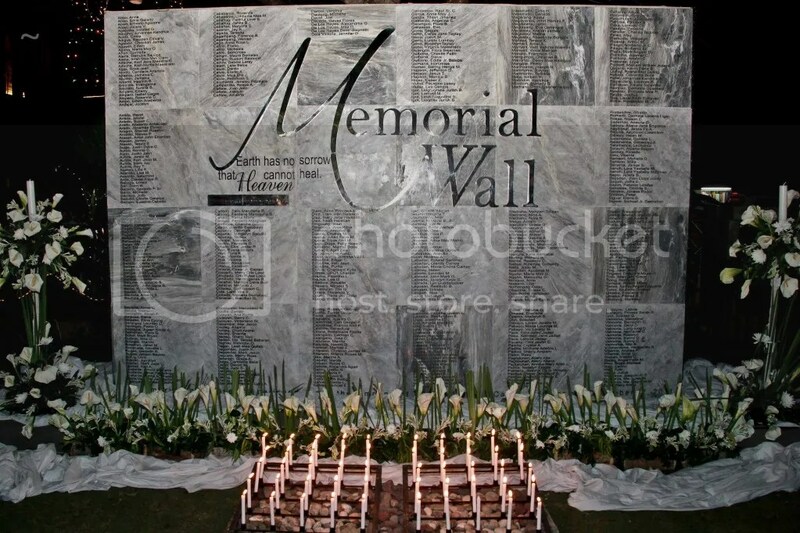 The partnership wall in Indahag unveiled. With Mr. Escalada, inspecting a mobile unit. 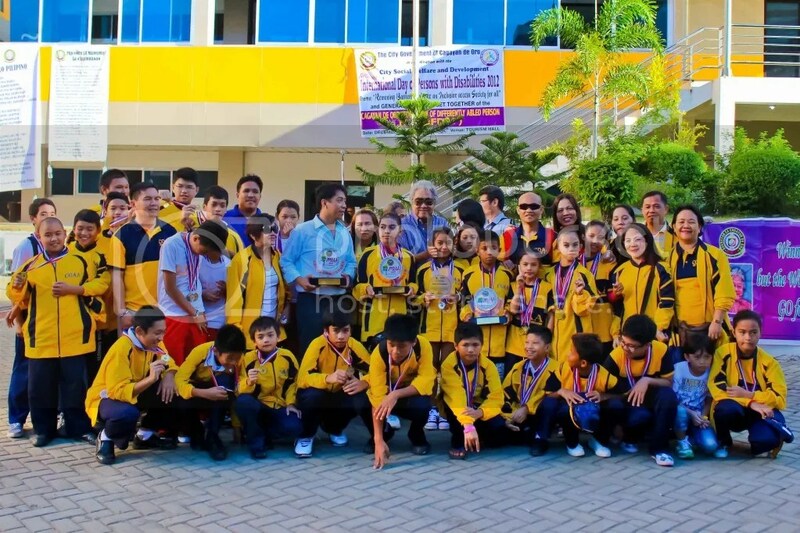 Young athletes of the Cagayan de Oro Athletic Association (COAA) pose with City Mayor Vicente “Dongkoy” Y. Emano after they were presented before City Hall employees and guests during the flagraising ceremony, Monday, December 17, 2012 at the city hall quadrangle, where they showed off the medals and trophies they earned as over all Champion in both elementary and secondary division during the December 10-14 Palarong Pampook 2012 in Tubod, Lanao del Norte. 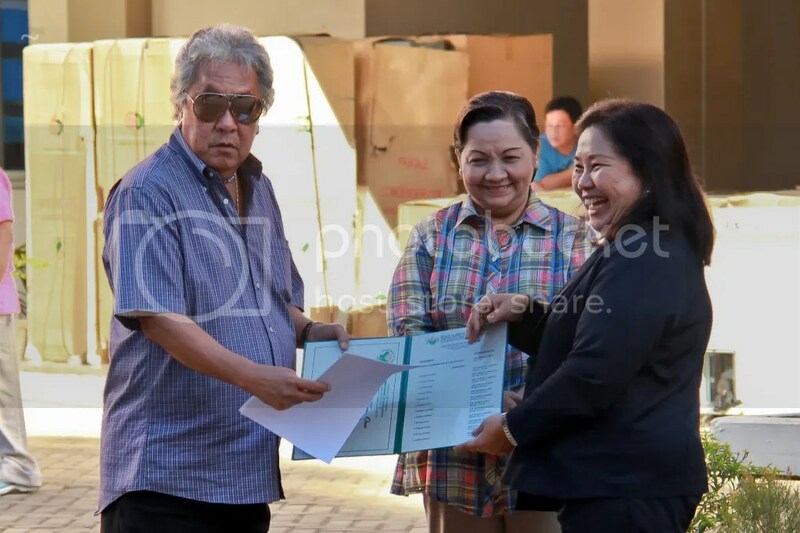 City Mayor Vicente Y. Emano (left) and City Councilor & Committee on Agriculture Chair Annie Y. Daba (center) receive from Department of Agriculture Region X Director Lailani Ramos (right) P5.8M worth of equipment and capital for the Barangay Food Terminals to be put up in 12 Sendong-affected barangays which can serve as outlets for agricultural products from neighboring farms. Barangay residents, especially from the relocation sites, no longer have to travel to the city markets for their food supply as these will soon be available in their own barangays through the ‘Barangay Food Terminal’. 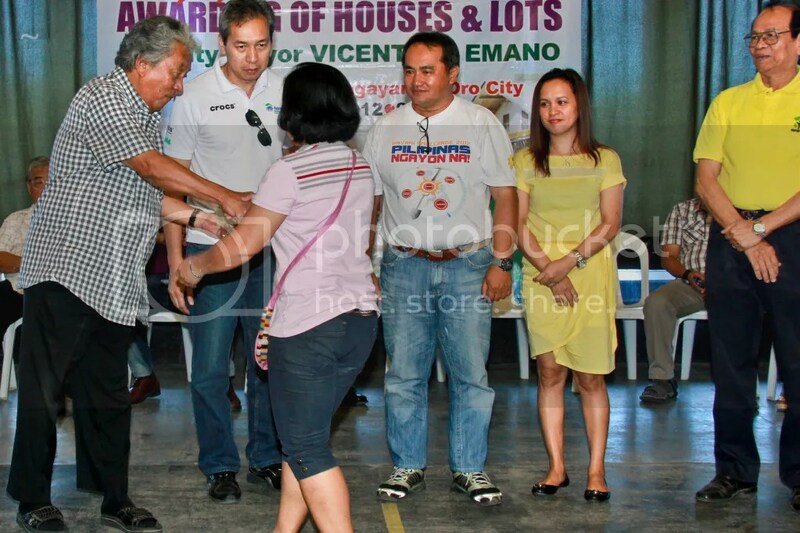 City Mayor Vicente Y. Emano acknowledged and briefly conferred with the various cooperative groups, composed of Sendong survivors from the relocation sites organized by the Community Improvement Division, which were presented before city hall employees and guests during this week’s flagraising ceremony (Dec. 17, 2012). With the livelihood assistance provided by the City Government, Calaanan’s Civilian Volunteer Organization is now working on their ‘Bigasan Project’, the Indahag Habitat Relocation with their ‘Bakery Project’, and the Xavier Ecoville Multi-purpose Cooperative with their ‘Rose Farming’.